The first half of the dementia prevention guidelines relate to diet. “Combining this diet with physical exercise and avoiding excess metals, such as iron and copper in multivitamins, can maximize protection for the brain,” said PCRM president and lead author of the guidelines, Neal Barnard, MD. “We potentially have the capabilities to prevent a disease that is poised to affect 100 million people worldwide by 2050. Why wait?” asked Dr. Barnard. The primary staples of the dementia prevention diet should be vegetables, legumes (beans, peas, and lentils), fruits, and whole grains. One ounce of nuts or seeds (one small handful) daily provides a healthful source of vitamin E.
A reliable source of vitamin B12, such as fortified foods or a supplement providing at least the recommended daily allowance (2.4 mcg per day for adults) should be part of your daily diet. When selecting multiple vitamins, choose those without iron and copper, and consume iron supplements only when directed by your physician. While aluminum’s role in Alzheimer’s disease remains a matter of investigation, it is prudent to avoid the use of cookware, antacids, baking powder, or other products that contribute dietary aluminum. Include aerobic exercise in your routine, equivalent to 40 minutes of brisk walking three times per week. 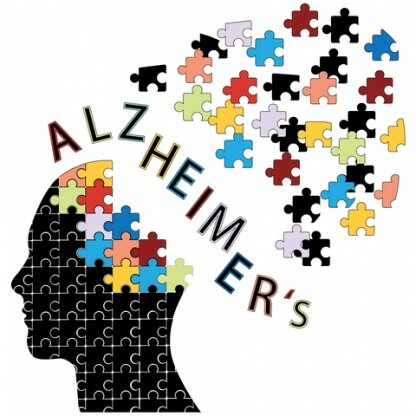 “Satisfactory treatments for Alzheimer’s disease are not yet available. However, evidence suggests that, with a healthful diet and regular exercise, many cases could be prevented,” the PCRM statement concludes. Remember, this revolves around eating a plant-based diet low in saturated and trans-fats and high in B vitamins and vitamin E. It also means avoiding excess intake of certain toxic metals like copper, iron, and aluminum. Besides these important steps, however, research is identifying even more potential natural treatments for dementia prevention. For instance, we reported about one recent study showing that in addition to avoiding certain fats, staying away from sugar can actually reduce levels of plaque-forming amyloid in the brain. And in addition to B-vitamins, you may also want to know about additional supplements—like citicoline and magnesium threonate—that have shown efficacy in clinical studies and can be added to any dementia prevention program. It’s clear that we all have several validated options available to prevent brain problems later in life. But we have to get started today. Share with us what specific actions you are doing now to give you protection in the future. Scroll down to the Add Your Comments section toward the end of this blog, and maybe your comments will encourage other readers. add, aerobic exercise, alzheimer, alzheimer s dementia, b vitamins, b12, brain, citicoline, dairy, dementia, diet, dietary guidelines, exercise, iron, iron supplements, magnesium, magnesium threonate, multivitamins, natural treatments, natural treatments for, nuts, physical exercise, plant based diet, sugar, supplement, supplements, vegetables, vitamin, vitamin b12, vitamin e, vitamins, whole grains. Yes, trans fats are bad for you. But new research shows that saturated fats are healthy for your heart and your brain.